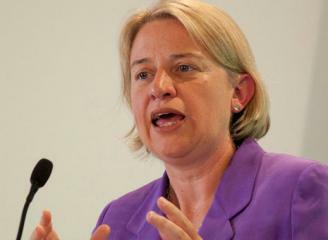 Below is the text of the speech made by Natalie Bennett, the Leader of the Green Party, in Bournemouth on 25 September 2015. Hello Bournemouth – it is great to be in this lovely town for the first time for Green Party conference, soon after it elected its first Green Party councillor, and just a year after the South West elected its first Green MEP – and hasn’t Molly Scott Cato done a brilliant job! Yes, I am aware that we are following the Liberal Democrats in this venue – we’re getting used to taking seats from them – but I promise that’s the only thing we’ll be following them on. In the Green Party we know what our policies are, we know that our values and principles are solid, unmovable foundations. We don’t tack around with the political winds: we stand up for what we believe in. I know many of you here will be at your first conference. But let’s start with some members who’ve been around for longer. If you were a member of the Green Party before January 1st last year, please put your hand up! Thank you – you’re the veterans. Now who’s joined after January 1st? Many new members told me that they had come to realise that lobbying, campaigning, pushing against the closed door of the old politics, just wasn’t going to deliver the results that our economic, social and environmental crises demand. We can’t keep electing the wrong people and hoping they’ll do the right things. Now I could ask the Green MP and House of Lords member to put their hands up, but I don’t think you need help identifying them. Of course if we had a fair electoral system Caroline Lucas would have 24 other Green MPs with her in the Commons, but she, like Jenny Jones in the Lords, does the work of at least that many average MPs, so all we can say to them is thank you! And promise you that next year, in the elections in May, we’ll be electing many compatriots to join you. In Bristol, in Liverpool, in Sheffield, and many other cities, towns and villages up and down the country, we built a great foundation in the general election. In a year’s time I look forward to that question raising a forest of hands… quite appropriate for the Green Party, I think. For it’s clearer by the day, that the political times they are a’changing. It’s the time of new politics. In Britain you can measure that not just by the rise of Jeremy Corbyn to the Labour leadership, but by the Green Party’s more than 1.1 million votes in the general election and the ‘green surge’ that’s seen our membership more than treble. And by the left-positioned SNP’s comprehensive wipe-out of right-wing Labour in Scotland, and the daily-stronger surge in political activism across England and Wales and beyond. The United Nations is investigating the Tory government’s treatment of the disabled and breaches of their human rights. The world is increasingly questioning the Tory government’s environmental failings. Al Gore led the way this week: “Will our children ask, why didn’t you act?” he said this week. Judges will also be questioning more and more the abuses of basic human rights, and the destruction of civil liberties in the disastrous Trade Union Bill and the snoopers’ charter. And politics is far more diverse than ever before – making the argument for long-overdue electoral reform overwhelming, an issue that I hope Jeremy Corbyn will be putting at the top of his political agenda. The government only has a majority of 12 – a fragile majority that’s already dissolved on a couple of issues. United in a just cause, we can win electoral reform. The new politics – the politics that demands electoral reform – is a people’s politics, founded in everyday life, everyday struggles. Many of you I’m sure were on the streets on June 20th for the People’s Assembly Against Austerity, and again this month at the massive, inspiring Refugees Welcome march. At both marches people assembled under many different symbols, under the banners of church groups and the flags of unions, under the homemade placards of the unaffiliated and the organised groupings of long-established campaigns, all saying: “we’re not going to take this anymore: no more austerity, no more privatisation of public services, no more planet-trashing, and no more of this unfair, inhumane, unjust immigration system”. I know that some commentators are asking: what’s the difference between Jeremy Corbyn’s Labour and the Greens? Communities up and down this country who are dealing with Labour councils know one answer to that. They have Labour councils who aren’t listening to them, aren’t meeting their needs, are too often in the pockets of the developers and big business, who believe despite all the evidence that ‘economic development’ comes from supporting an out-of-town supermarket that destroys local independent businesses by the score. When it comes to standing against planned nuclear plants from Hinkley to Anglesey to Hartlepool, when it comes to resisting the power of the oil and gas lobby that keeps supporting this government’s fracking, underground coal gasification and coal bed methane fantasies from Blackpool to Middlesborough to Warwickshire; when it comes to resisting the concreting over of the greenbelt for expensive, poor quality homes by mass builders out for a quick pound, communities know that it’s the Green Party that consistently backs them. But we’re not just following and supporting, we’re also leading. We’ve already launched our ‘Climate Sense’ campaign – yes that’s the hashtag – and this is the Green Party’s ‘Climate Sense’ conference. And we’ve joined the European Green Party in calling on everyone to share their ‘climate moment’ – the second when they as individual human beings recognised that climate change was already here – and just how urgent it is to change direction before it is too late. For me it was January 1st, 2006. Yes, it was New Year’s Day. It was time to make an assessment about the state of my life and the state of the world. And I would not have predicted that in the leader debates before this year’s general election I would have been the only one to talk about climate change. That in three and a half hours, the Labour leader, the Liberal Democrat leader, the Conservative leader, the SNP leader and the Plaid Cymru leader wouldn’t find space for those two momentous words, climate change’. That has to change. It has to change now. We cannot have another major political debate that doesn’t have climate change at its heart. But I’m a strong believer in the idea that deeds not words are what matter the most when it comes to tackling climate change. This isn’t just disappointing, it’s scandalous. If the Prime Minister is even half way serious about success at the Paris climate talks and tackling the threat of climate change to our security, prosperity and natural world, he should ask for Stephen Heidari-Robinson’s resignation with immediate effect. And instead appoint an advisor without association to a climate-destroying industry. The UK’s green economy is a huge success story – often in spite of government policy – so he won’t be short of options. Dealing with climate change has to be at the centre of every policy, every decision, the responsibility of everyone. If we don’t make that a reality, our children and grandchildren will never forgive us. As part of the work towards that, today I’m issuing a special request to every Green Party in the country to hold at least one public meeting to raise this issue up the agenda in their community. More, I’d ask everyone listening to take action. Organise a meeting in your community group, in your union, in your university, school or college, in your local pub. The next few months are critical – please play your part. Let’s summon up, to draw on Abraham Lincoln, every better angel of our human nature to this great, the greatest, cause. Together we can ensure that everyone has the chance to find out more, to understand how tackling climate change isn’t just essential, but also a positive framework that can improve our society, our lives, and the lives of future generations. And I’d urge everyone not to pin all of their hopes on the Paris talks, but to see this as a stepping stone, one branch of a plan to reshape our societies to live, to thrive, to meet the needs of future generations on this fragile planet. I’m going to borrow a phrase from the climate change campaign 350.org: this is the point where everything breaks apart and everything comes together. But we can only protect our planet in a fair, humane society. That’s at the absolute core of Green Party values and principles – and it is at the core of solving our climate crisis. And the solutions to deal with the crisis need to tackle these together. It’s joined-up thinking – the kind of thinking that’s in the Green Party’s DNA. We can’t go back to the failed 20th-century answer of perpetual growth; that can’t continue on a finite planet. We can’t go back to the failed 20th-century model of centralised administrative monoliths imposing models on diverse local communities. We can’t go back to the idea of a wasteful industrial economy built around giant companies. And we’ve long understood that the only secure, sustainable economic future is based in strong local economies, with local needs met by local suppliers, with a rich ecology of farming, manufacturing and services businesses supporting each other. But there’s no doubt there are forces out there, powerful forces, with huge amounts of cash and influence, who want to keep things just as they are. They’re in a crisis of legitimacy. They cannot be trusted. They are rotten to the core. I was going to say that the emperor has no clothes, but after the news reports of the last week I won’t inflict that image on you… Even better, I’ve carefully combed this speech to ensure there are no porcine references at all. What I will refer to about Lord Ashcroft’s book is his self-declaration that he expected donations of millions of pounds to buy him a place at the heart of the British government. The core is rotten – it must be removed. And that’s true also of our financial sector. The list of scandals is almost endless, from Libor to Forex rigging, PPI to money-laundering and tax evasion. The finance sector exists not to serve the real economy but to fuel speculation in financial instruments and property that’s become entirely detached from the reality of homes and business premises, to fund its own empty structure. It expects be propped up by the sweat and pain of communities far from the glass towers of Canary Wharf when it fails again. We’ve seen just this week another emerging scandal – a giant, respected, global car manufacturer has confessed – after it was exposed – to rigging tests about the emissions from 11 million diesel cars it has manufactured, and put on the streets. And there are questions now about whether it was just that manufacturer. Our politics is rotten. Our finance sector is rotten. Our industrial sector is rotten. Even some of our sport is tainted. Fifa, in control of the ‘beautiful game’, is rotten. Increasing numbers of Britons understand instinctively that David Cameron’s ‘recovery’, built chiefly on consumer debt, has no firm foundations – and that’s particularly clear to the people of Wigan and Rhyl, Gateshead and Ramsgate – the many communities that have seen precious little sign of this ‘recovery’ at all. They’re deeply worried, as people across Britain are worried, about the kind of world we’re leaving future generations. There’s one number I’d urge you to remember – 24%. That’s the number of eligible voters who supported this Tory government. The route to electoral reform is not clear and obvious. 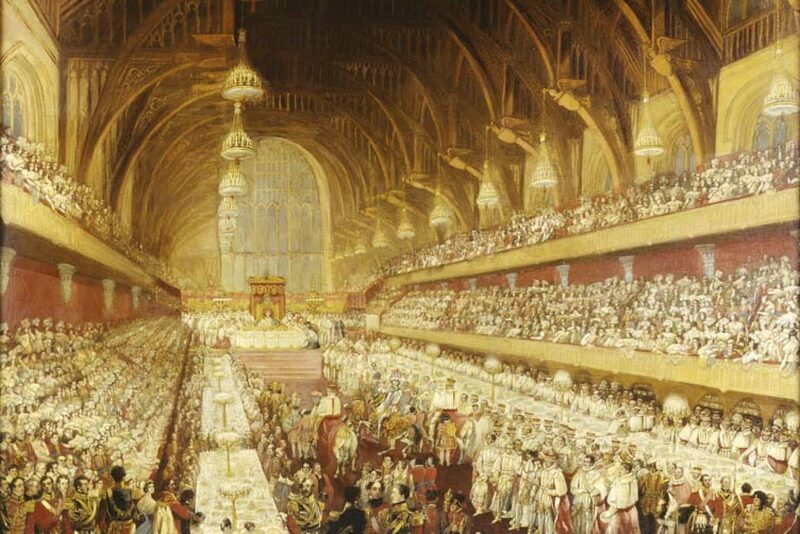 In an ideal world the Tory government would say, ‘clearly the current situation is intellectually and morally untenable and we have to introduce proportional representation, fair elections, for both the Commons and a new House of Lords’. But don’t worry, I’m not holding my breath for that. But we don’t have to wait for electoral reform – for coming up we’ve got votes in already reasonably fair elections in which voters can simply vote for what they believe in. You’ll be hearing from Pippa Bartolotti, leader of the Welsh Greens, later today, about the exciting prospects of our first Assembly members in Cardiff. And on Sunday you’ll be hearing from Sian Berry, our London mayoral candidate, about the prospects for growth in our Assembly representation. And here’s a tip: the bookies have Sian’s odds of waking up as London mayor on May 6th considerably shorter than Jeremy Corbyn’s during the Labour leadership contest. Since the general election I’ve been travelling the country and visiting new and revived local parties, already gearing up for next May’s council elections – aiming to win their first councillors, build their local representation, be the challengers, the critical scrutinisers lacking on so many councils. In Hitchin in Hertfordshire, which I visited for the town’s first-ever anti-austerity rally in June, I met Green Party members already campaigning for elections in 11 months’ time. In Swansea, I heard from Green Party members how they’re working on the ground, at the grassroots, literally, rescuing the abandoned Ganges Field from litter, vandalism and council neglect, turning it back into the community asset it should always have been. These are local Green Parties that are seeing what needs to be done, and doing it. And more than that, they’re feeling the tide of history approaching. Here in Bournemouth, we’ve been consistently supporting the proposed wind turbines of the Navitus Bay offshore wind farm, sadly only the latest victim of this government’s disastrous energy policies. Of course this government’s had to grapple with a difficult concept: the wind turbines are big, but are far away. Politics is moving in our direction. Historians will look back and see 2015 as the year change started – the year that a fundamental shift in politics saw it move away from the mantra of ‘greed is good, the environment doesn’t matter’ that rose with Margaret Thatcher and will fall with David Cameron. It’s time for a new approach – the Green approach – a society that works for the common good within the environmental limits of our one fragile planet, a society that works for its people, not for the few global corporations and the richest 1%. That’s what Green Parties around the globe, green movements around the globe are working for. In Norway, the Greens have just recorded their best-ever election result – calling for an end to all oil production there within 20 years. In Rwanda, the Green Party is bravely leading the struggle to defend a democratic constitution. In the European Parliament, the Greens’ group is leading the way in calling for fair, just, humane treatment of refugees across the Union and outside it. The problems we face – in Britain and around the world — are huge. We need to think big to deal with them. We need a politics powered by people, communities powered by renewables, our economy powered by small businesses, social enterprises and cooperatives. If you’re facing decades of unpayable student debt – join us and fight it. If you’re stuck in a zero-hour, low-pay job, join us and fight for jobs you can build a life on. If you’re disabled or have been ill and suffered from the dreadful work capability assessment – join us and fight it. If you’ve suffered under our abusive, inhumane immigration system – join us and fight it. If you believe that Britain should not be bombing Syria, following the failed policy that’s had such disastrous consequences for the people of Iraq and Afghanistan – join us and fight for change. If you’re a parent who cares about your children’s and grandchildren’s future – join us and fight for their future, fight for a liveable planet. 2015 can be – must be – the start of the century of Green politics. Let’s get together and make it happen.